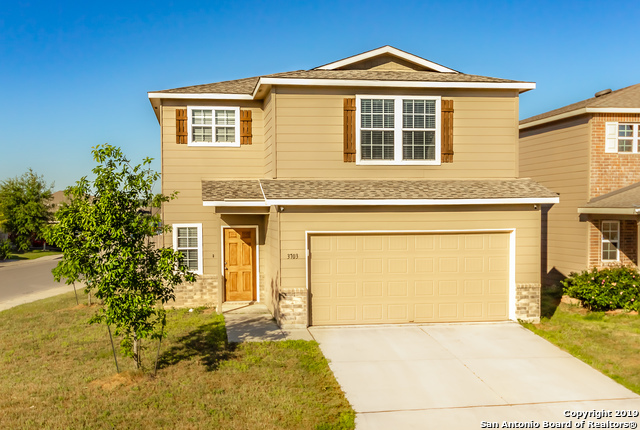 All Selma homes currently listed for sale in Selma as of 04/22/2019 are shown below. You can change the search criteria at any time by pressing the 'Change Search' button below. "Incredible opportunity to own a large, beautiful entertainment home seated on 2 lots of land just a few blocks away from the major shopping centers and IKEA. Large two story home has plenty of room for it all. Multiple living areas, Formal dining area, open kitchen with breakfast bar. This house has it all, from large storage shed, outdoor luxurious pool with outdoor restroom and shower. 2 of the 4 bedrooms have access to balcony. Don't miss the opportunity to own a one of a kind entertainment h"
"Breathtaking Hilltop City Views in Highly Sought After Selma! Custom Designed, Entertainer's Home on Over-Sized Lot with Views Galore, just minutes from The Forum shopping, Randolph AFB and the new IKEA. 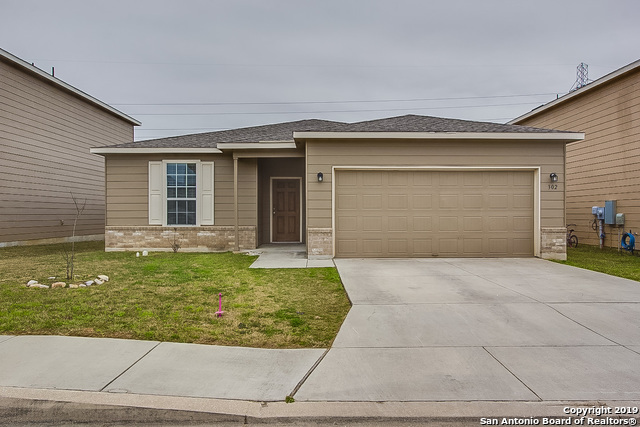 Open floor Plan, High Ceilings, Double-Sided Fireplace, Upstairs Game Room with Wet Bar, Drought Tolerant Landscaping, Outdoor Living Space with Full Masonry Fireplace with TV Connection, Finish Outs by Licensed Interior Designer!" "MUST SEE! 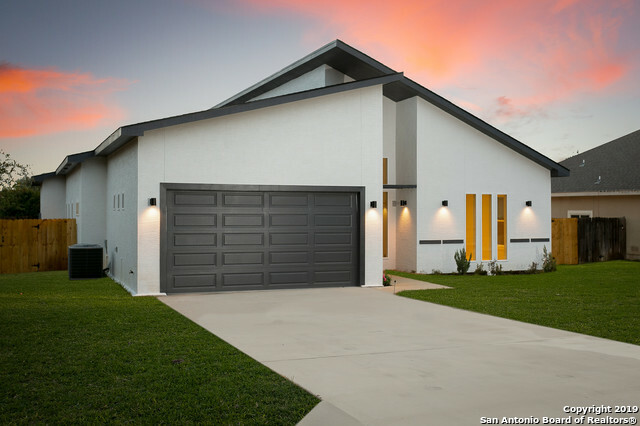 One-of-a-kind Contemporary home with beautiful finishing touches and spacious floor plan. You will love the 30 ft ceiling, upgraded kitchen, open floor plan, private backyard oasis, and central to new shops and stores. Located near top rated schools and 15 minutes from Randolph. *BONUS $4500 for Closing Cost. Plus, Special Financing with no lending fee. 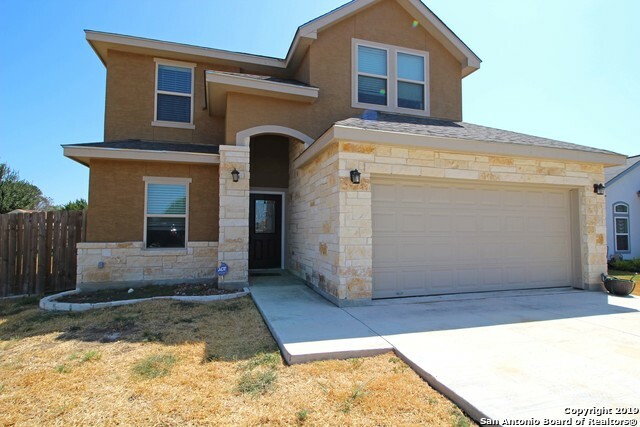 *"
"**Beautiful Single Story, Custom Built Home w/ 4 Bedrooms, 2.5 Baths**Spacious & Open Floor Plan Offering Approximately 2400 Square Feet of Living Area**Exquisite Finishes Throughout Starting w/ Ornamental Wrought Iron Front Door & Columned Arched Entry Foyer**Large Kitchen w/ Granite Counter Tops, Breakfast Bar & Breakfast Nook Open to Huge Family Room & Formal Dining w/ Hand Scraped Hard Wood Flooring & Plantation Shutters Throughout**Excellent Location with Great Schools, Shopping & Entertain"
"HUGE 1/4 AC LOT 2 CAR GARAGE , CEILING TREATMENTS , 8FT DOORS , MAKE OWN TILE SELECTIONS. GRANITE IN KIT AND BATHROOMS, STAINLESS STEEL VENT HOOD & BUILT IN APPLIANCES, STUDY. LARGE MASTER BEDROOM AND WALK IN SHOWER. GARDEN TUB. CUSTOM 100% ALL WOOD CABINETS. STONE EXTERIOR ELEVATION. 2 YEAR BUILDER WARRANTY. 10 FOOT CEILING , RADIANT BARRIER ROOF DECKING, INWALL PEST CONTROL. MOEN PLUMBING FIXTURES. COVERED PATIO"
"This stylish residence is nestled in a desirable cul-de-sac location just minutes from I35. Enjoy easy access to the Forum, Randolph Air Force Base, local parks, and multiple sport complexes. This stunning home boasts many upgrades including marble counters in the kitchen along with a center island, built-in microwave & oven, stainless steel appliances, custom cabinets, high ceilings and gorgeous ceramic tile in the commons areas. Off the kitchen there is a large and open family room with stone "
"This beautiful custom home sits in a small ,quiet, tucked away gem of a neighborhood.NO HOA. Highly sought after SCUCISD schools. 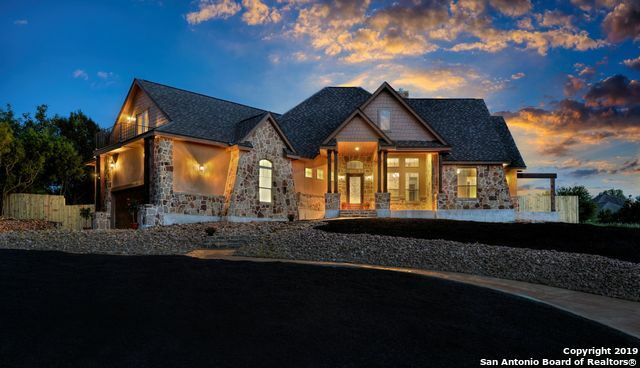 This gorgeous home has many upgrades to love. Stainless steal appl.,granite countertops thru-out, 18 inch tile in main living, kithchen, bathroom, utility areas.The back yard has a $38,000 stunning wood grain metal pergola that is covered with 40 solar panels.This will reduce your energy cost drastically. The patio and pergola makes it a perfect back yard to enjoy." 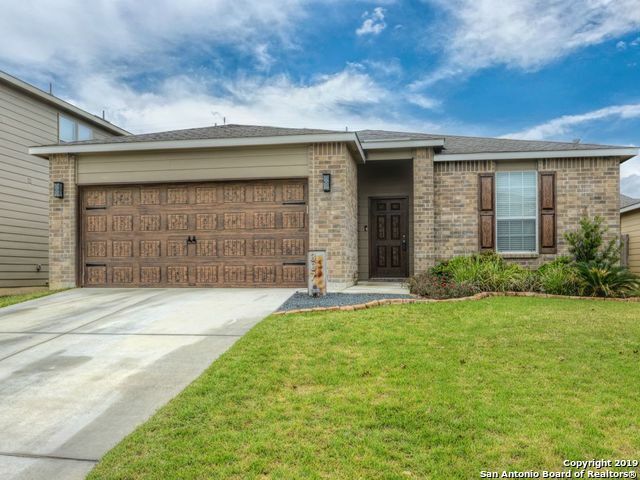 "This gorgeous home is located just minutes from Randolph Air Force base, The Forum Shopping Center, Fort Sam Houston short commute to downtown San Antonio and more. 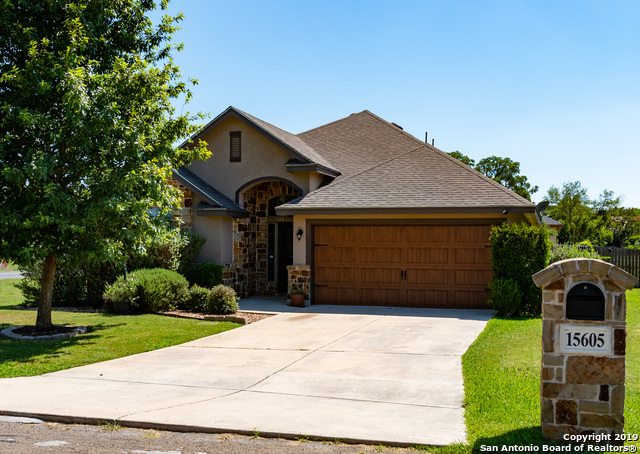 Key features of the home include a spacious downstairs master bedroom with walk in closet space, wood flooring, a stunning kitchen with granite counter tops and spacious cabinets, wifi remote for garage door with battery backup and a relaxing screened in back patio. Contact your agent today for a private showing." 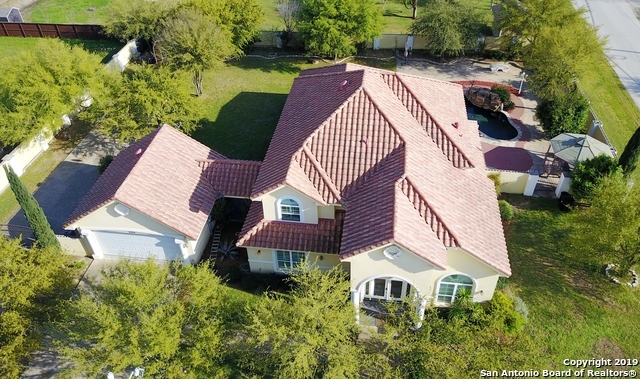 "Stunning one story stone & stucco home with custom features in desirable area. 4 BR, 2 BTH. Rope lighting in foyer & high ceiling throughout. Upgraded lighting & ceiling fans. Diagonal ceramic large tile in foyer, family & wet areas. Upgraded laminate flooring in master. 42inch kitchen cabinets & granite countertops with sep kitchenette.Combo living, dining area with separate family room, stone fireplace. Large MBR with walk in closet Dual vanity in MBTH, sep shower & garden tub. Large utility "
"Welcoming comfort unfold your senses w/the first step inside this 1-story custom, former model home. 3 bed/2 bath/office/2.5 garage. Natural light encompasses the home with floor to ceiling windows, graced with backlit crown mldg on the curved foyer ceiling, 14' trayed ceilings, granite in all baths, stone walk in shower in MBath, dimmer switches, 42 cabinets, stone surround breakfast bar, 25' deck, rock patio with firepit plus partially enclosed patio with arched wood ceiling. Time to relax. " "This wonderful family home offers a master suite downstairs, three bedrooms upstairs, with a Jack and Jill bathroom and a gameroom. The kitchen offers an optional island that opens to a breakfast area and spacious family room. Granite Countertops! Creekside Ridge offers that sought after country feel in Selma, Texas. With quick access to 1604 & I 35, you are within minutes of everything San Antonio has to offer without the hustle & bustle of the big city!" "Beautiful single story custom home coming soon! Approximately 1900 sq feet single story. Just in time for color and flooring. Exterior of then home will be stucco with stone accents. 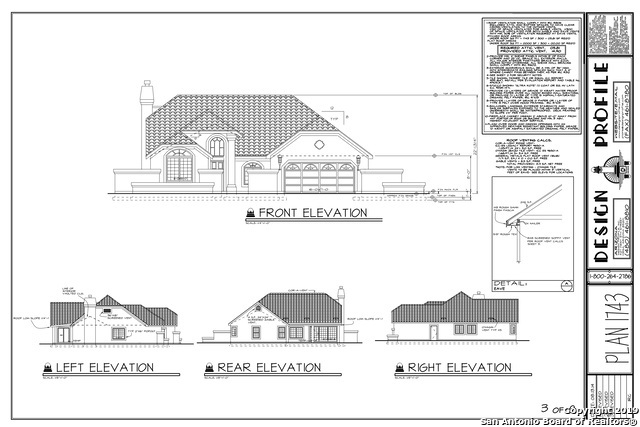 Builder has plans approved with Selma...This will save a you time! Can be completed within 4-5 months. Call me for floorpans...I can email them asap." "Beautiful 3 bedroom, 3 bath new homw in Creekside Ridge. 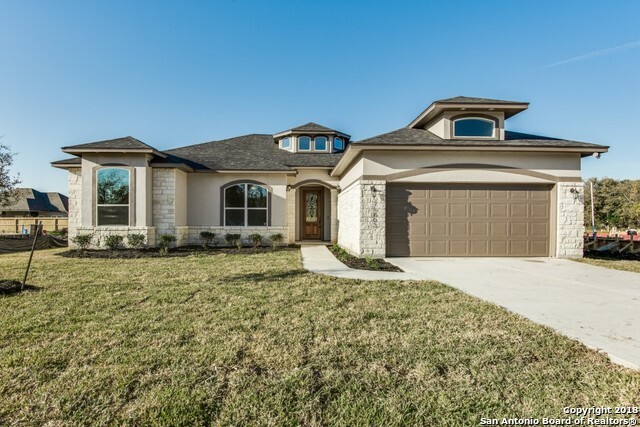 This Amazing home is just minutes from IH 35 & Loop 1604, close to shopping and RAFB. Open floor plan, granite counters, Eterior privacy blinds, Tile and Carpet, Separate shower and tub & double vanity in Master bath! More to see Come take a look!!" "BEAUTIFUL ONE STORY. SHOWS LIKE A MODEL. CLOSE TO SHOPPING . OPEN FLOOR PLAN WITH TILE IN MAIN LIVING AREAS. STUDY/OFFICE. SPLIT BEDROOMS. GRANITE COUNTER TOPS WITH STAINLESS APPLIANCES. SPRINKLER SYSTEM AND WATER SOFTENER"
"This home has quality interior/exterior upgrades through out home and garage! Three bedroom two bath home with study, open floor plan. Inviting backyard with grill and fire pit for entertainment. Convenient Location with easy access to major highways. Come visit, you won't be disappointed!" "Beautifully maintained 3 bed, 2 bath with the study set up as a game room with a stylish reclaimed wood accent wall and laminate floors. No carpets in this home, it is ready for your pets or kids! Spacious family room blends with the eat-in kitchen to make a great entertaining space. This home sits directly across the street from the sports fields and play structure. Back yard features a covered patio so you can take the party outside! Don't wait, see it today! Showings Start Saturday! 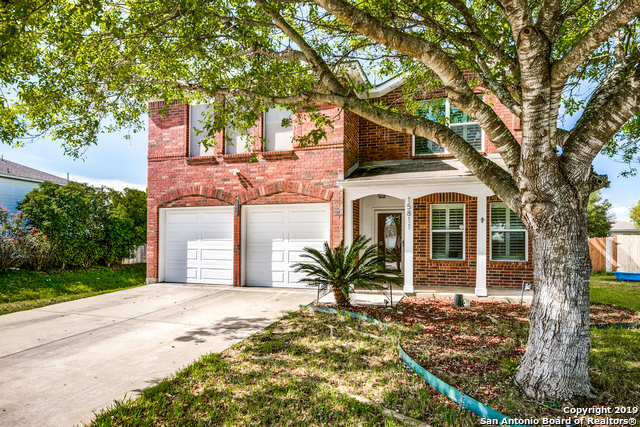 Open Hous"
"Beautiful 5 bedroom 3 bath home, great neighborhood near shopping and close to Randolph, Fort Sam and others, schools in this area are the most sought over in this community.. Granite counter tops in the kitchen, master bedroom has dual vanity and separate shower and tub. Large walk in closet and fans in all rooms, 2 car garage with garage door opener. Large back yard with shed . This home is ready for you to move right in. Bring us your offers." 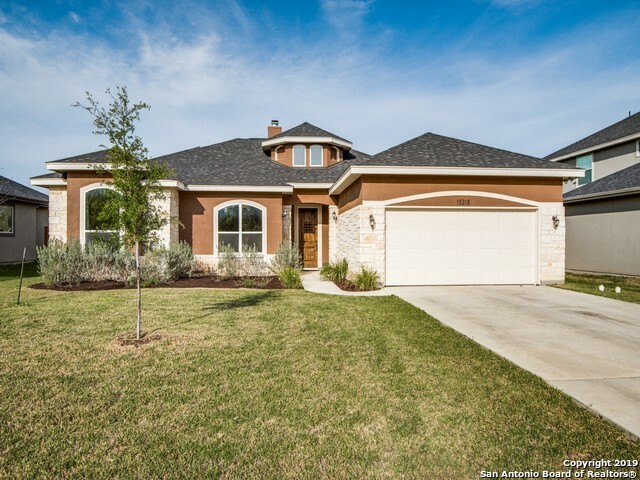 "Built in 2015, this Schertz offers granite kitchen countertops, a walk-in closet in the master suite, and a two-car garage. A park is part of the Kensington Ranch HOA. Home comes with a 30-day buyback guarantee. Terms and conditions apply." 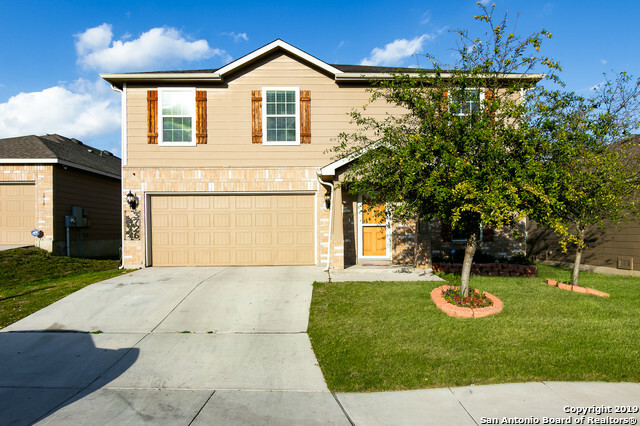 "Immaculate 4 bed, 2.5 bath home in a convenient and desirable neighborhood. Excellent location near the Forum shopping Center and popular restaurants. Quick access to the highway for easy commute. Minutes from Randolph AFB, and Fort Sam Houston. Open kitchen allows for ample entertaining. Large fenced backyard. Master with oversized closet and separate shower/tub. Recent upgrades/updates include new carpet, new fence, new sod, new HVAC in 2014, and a new roof in 2017." "This lovely home has wood flooring thru out the 1st floor,2 living, 2 dining,lrg kit w/3 OVENS! plenty of counter space, c/fans in all rms, Crown Molding and 5'baseboards thru-out, french doors from the kit,,leads to a Tropical-like landscaped B/Yard, Covered outdoor LIVING area that includes surround sound w/speakers, 2 areas for cable ready TVS, 3 lighted c/fans,+ the 2nd area is also lighted & covered for cooking & dining,2 bars, lg picnic table, a bench & SMOKER/BBQ Grill"
"This 2 story home offers the convenience to the forum and all the great restaurant's in town. Very well maintained with a bedroom and full bath downstairs with hardwood floors that were put in after the seller moved in. Larger back patio that the seller had built for entertaining. Upstairs you walk into another large living room, with a study. Master bedroom with a walk in closet. Third bedroom with a walk in closet and the laundry upstairs. Come see what this home has to offer." "Tucked inside a small community, enjoy this home on its greenbelt lot. With the secluded backyard, open floor plan, and a kitchen made for family and friends to gather, this home is perfect for anyone who likes to entertain. 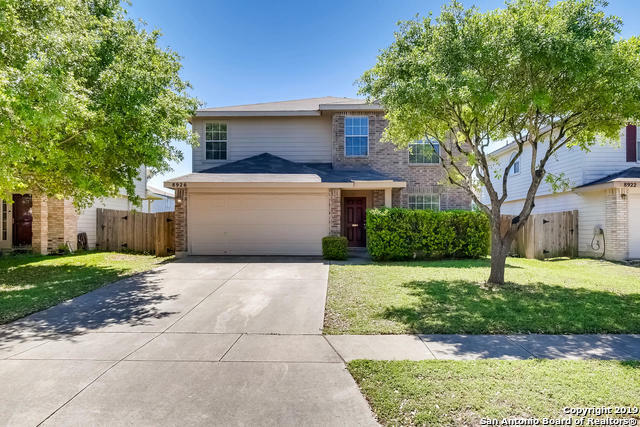 Excellent single story open floor plan home has split bedrooms with oversized master and deluxe bathroom with separate shower and soaking garden tub, perfect to relax in. Dont miss this upgraded, basically new home!" "NO HOA**Kitchen remodeled- w/semi-custom cabinets,quartz counters,glass tile backsplash,overhead lights, 100% water proof laminate flooring, matching stainless appliances**Backyard deck with covered patio**Extra insulation added in attic+radient barrier** No carpet throughout 1st floor***"